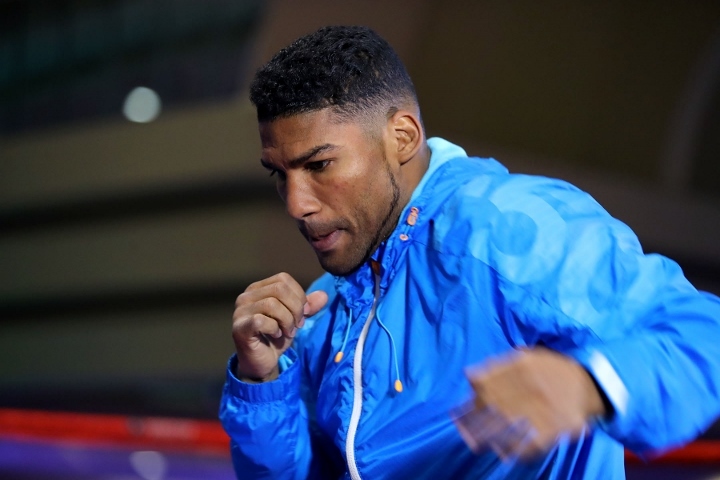 Once regarded as one of the best Cuban talents in the sport, Yuriorkis Gamboa, will begin the hard road back on August 12th at the Oasis Arena in Cancun, Mexico. Back in May, Gamboa was upset by tough Mexican super featherweight contender Robinson Castellanos, who dropped Gamboa in the third and fourth rounds before the contest was stopped in the seventh. Gamboa, a gold medalist in the 2004 Athens Olympics, is a former WBA and IBF featherweight world champion. As far as his next opponent, Gamboa will step in the ring against Alexis 'Baby' Reyes. The fight will be promoted by Pepe Gomez of Cancun Boxing of Pepe Gómez and televised to millions of homes through Televisa Deportes. Gamboa, originally from Guantánamo, Cuba; has a professional record of 26 wins, 17 of them by knockout and two setbacks, while Reyes (15-2-1, 7 KO's) - who is coming off a split decision loss to undefeated Alejandro Zuniga. There is a huge gap in experience, with Gamboa facing such boxers as Orlando Salido, Jonathan Víctor Barros, Jorge 'Coloradito' Solís, Daniel Ponce de León, Terrence Crawford, René Alvarado and Castellanos. The other defeat on Gamboa's ledger came at the hands of Crawford. Gamboa fought in Mexico back in 2014, also in Cancun, where he knocked out Joel Montes de Oca in six rounds. Since that appearance in Mexico, his activity has been poor. He didn't fight against until a year later, in December 2015, and then had no fights until March of 2017 - around the time that he signed a promotional deal with Golden Boy Promotions. He was previously promoted by Top Rank and also by Ahmet Oner of Arena Box. Golden Boy had already put the wheels in a motion for a future fight between Gamboa and WBO champion Vasyl Lomachenko - but all of that went out the window when Castellanos pulled off the upset TKO victory. Just retire man it's over you screwed it up for years with stupid bone head moves, and you gave up on your last fight because it's not in you anymore, the fat lady has given you a concert. Bob is on the phone as we speak lining him up to fight Lomachengo! You heard it here folks!